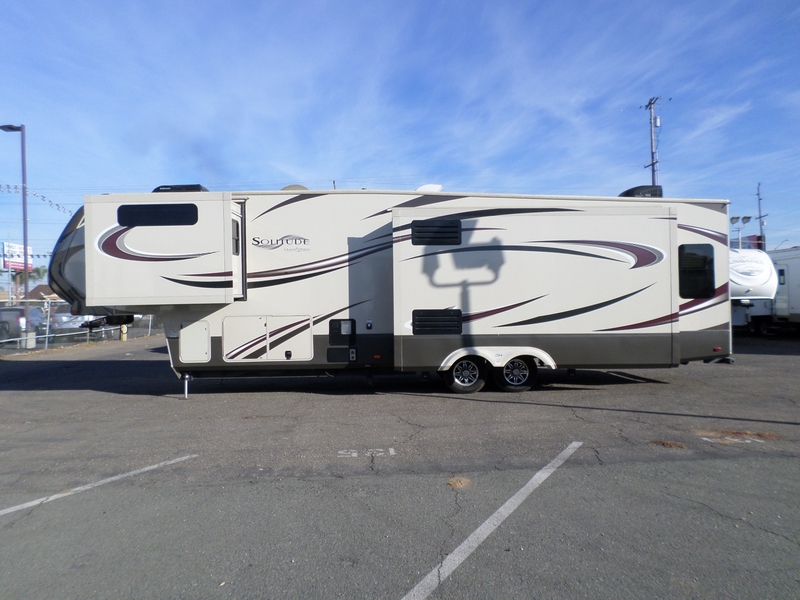 2016 Grand Design Solitude Fifth Wheel 38' . . .
One owner, 3 slides, dual axle, real living, fireplace, 2 TVs, extra large kitchen with center island, dishwasher, nice stereo inside and out, new Good Year Endurance tires, all maintenance, washer/dryer prep, 4 door fridge, and more. Must see.